Porsche 356-B T-5 Factory Accessories! 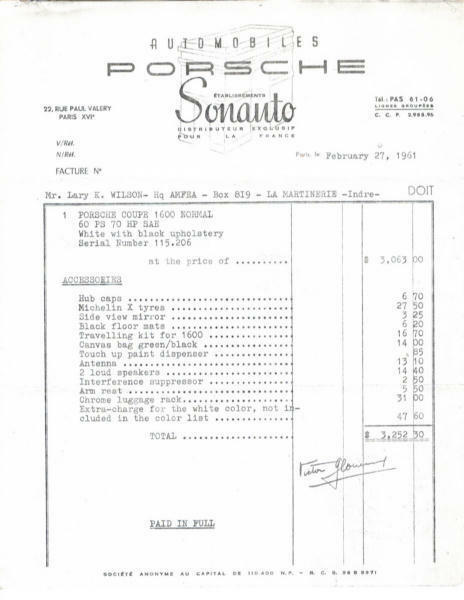 Below is a listing of Porsche 356-B T-5 factory accessories as shown in an accessory brochure dated February 1960. All the standard items are included, and there are some others rarely seen. Unfortunately, not all items listed below had photos in the booklet, but most that were included are shown. 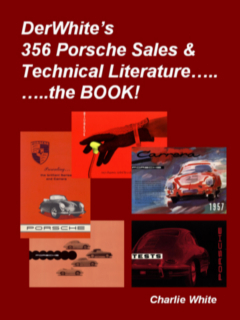 Click here for 356 Porsche Factory Technical Manuals For Sale! Have you ever seen any of these Unusual Factory Accessories? Cover for Cabriolet and Roadster Top, plastic. Anti-theft Switch under the Dash Board. Bench Front Seat w/divided back rest and fittings for reclining seats. Luggage Rack in the Color of the Car. 1. 4 Wheel hup caps with Porsche crest ($6.70). it shows in the manual! 2. Chrome-plated wheels, 5 pieces ($59.50). 3. Chrome knock-off wheels including copper hammer ($262.00). "A" model used in a B T-5 accessory brochure! Not uncommon! Tires that could be ordered from the factory! 4. 1 Set White-wall Tires ($19.00). 5. Supersport Tires 5.90 x 15 ($45.50). 5b. Supersport Tires, 165-15 Dunlop Sp (N/A). 6. Additional Heater B2 Eberspacher ($126.20). Notice gas heater mounted in the engine compartment! 7. 2 Fog Lamps. White or Yellow glass lens ($26.20). There's that weird turn signal grill again! 8. 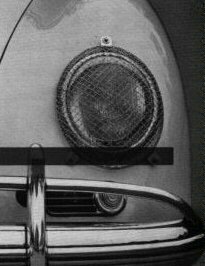 Headlight Grills, Removable. Part #644.631.130.05 left, & #644.631.130.06 right ($23.50). "A" model in B T-5 brochure! 9. Electric Clock in Center of Dashboard ($10.25). 10. Outside rear-view mirror, left ($3.25). 11. Floor Mats: beige, green, red, blue, black ($6.20). 12. Sunshade with Vanity Mirror ($1.25). 13. Safety Belt for one seat ($13.40). 14. 4 Koni shock absorbers ($28.80). 15. Travel Kit for 1600, 1600-S, 1600 S90 ($16.70). 17. Canvas Bag under Front Hood, red/black, green/black. 18. 3-piece Set of Leather Suitcases, w/straps, black or brown. 19. 2-piece Set of Leather Suitcases, w/straps, black or brown ($83.35). 20. 2 Luggage Straps (see above) for Luggage Compartment ($4.75). 21. Cover for Cabriolet and Roadster Top, plastic ($2.85). 22. Touch-up Paint Dispenser ($.85). 23. Expander for Fastening Suitcases ($1.20). 24. Extended Steering Column (30mm). Part #644.347.008.05 ($7.00). 25. 80-liter Gas Tank (21 US gal. instead of 13.5 gal.) Part #644.201.010.50 ($21.90). 26. Anti-theft Switch under Dash Board ($4.10). 27. Horn Ring, Chromed (N/A). 100. 2 Reclining Seats for Roadster ($28.60). 101. Cigarette Lighter for Roadster ($4.30). 102. Ash Tray under Dashboard for Roadster ($2.85). 103. Rubber Cushion luggage support for Roadster (N/A). 104. 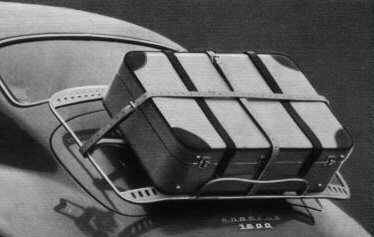 Plastic Suitcase for Roadster, fitting on tunnel (N/A). 200. Blaupunkt Bremen AM/long wave (transistor) ($96.50). 201. Blaupunkt Stuttgart, AM/long wave/short wave push button (transistor) ($113.00). 202. Blaupunkt Frankfurt, AM/FM/long wave push button (transistor) ($133.40). 202a. Blaupunkt Frankfurt US, AM/FM/long wave push button (transistor) ($133.40). 203. Blaupunkt Koln, AM/FM/long wave automatic (transistor) ($165.50). 205. Becker Europa, AM/FM/long wave push button ($128.50). 205a. Becker Europa, US, AM/FM push button ($126.00). 206. Becker Mexico, AM/FM automatic ($180.00). 206a. Becker Mexico US, AM/FM automatic ($180.00). Click here to see more information about Blaupunit Radios for 356 Porsches! 300. Special Paint, as offered in the Color Chart ($30.00). 301. Special Paint, not offered in the Color Chart ($47.60). 302. 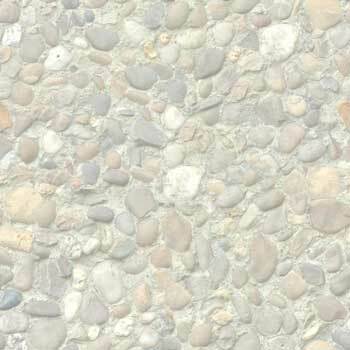 Special Paint for Hardtop Roof ($12.00). 303. All Genuine Leather Upholstery for Coupe ($174.00). 303a. All Genuine Leather Upholstery for Hardtop ($174.00). 304. All Genuine Leather Upholstery for Cabriolet ($98.00). 305. Arm rest, leather ($7.90). 306. Arm Rest, Leatherette ($5.50). 307. Head Rest, Genuine Leather, with Fittings ($18.80). 308. Head Rest, Leatherette or Corduroy, w/Fittings ($14.00). 309. Fittings for One Head Rest ($3.00). Click here for more information on 356 Porsche Paint Colors! 310. Soft Top for Cabriolet ($210.00). the January 1963 issue of Christophorus magazine,published by Porsche. Click here for more information on 356 Porsche Removable Hardtops! 312. Bench Front Seat with divided back rest and fittings for reclining seats ($26.20). 313. Steel Sliding Roof "Golde" ($165.00). 314. Steel Sliding Roof Electrical "Golde" ($348.00). 315. Anti-glare Mirror, inside ($5.35). 316. Chrome Strips for Coupe, Cabriolet, or Hardtop ($7.70). During the period, 1956 through the end of the 356 era in 1965, Porsche offered luggage racks for mounting on the rear deck lid, from two different suppliers, Reutter initially and then Lietz. The Reutter racks appeared in the early 356-A factory accessory booklets, and it was noted that they came in three styles: (1) silver painted, (2) same color-of-the-car painted, and (3) chrome plated. The silver painted version was probably the most popular as chrome plated Reutter racks are few and far between. Lietz racks came chrome plated only. The below factory source indicates that the Lietz racks were first introduced around April of 1960. 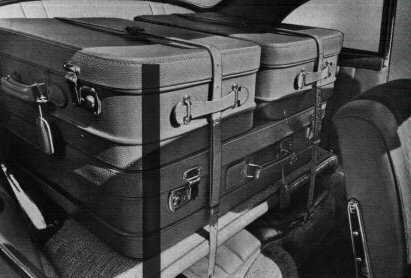 Some believe that Reutter did not make chrome plated luggage racks. However the below reference seems to indicate otherwise. It is not clear how long after the introduction of the Lietz luggage racks that the Reutter racks were discontinued. 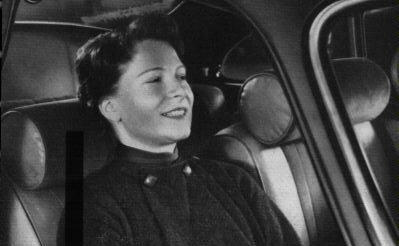 Even the 356-C factory accessory booklets continued to show pictures of the Reutter racks. Factory magazine, Christophorus, April 1960. 317. Luggage Rack, Silver Metalic ($21.75). 318. Luggage Rack in the Color of Car ($24.80). 318a. 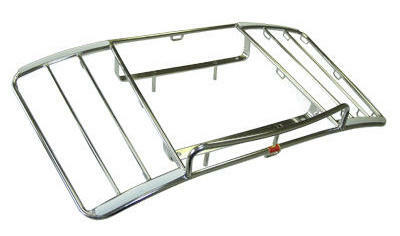 Luggage Rack, Chrome ($24.80). 319. 4 Straps for Skis on Luggage Rack ($2.75). 320. 1 Set Straps, Luggage Rack, above ($6.90). 321. Tonneau Cover w/Zip Fastener, Cabriolet ($56.00). 322. Tonneau Cover, Hardtop (not same as #321) ($56.00). 323. Tonneau Cover for Roadster ($56.00). A few accessories for a 356-B Coupe purchased in Paris! And last, here's one that didn't make the cut! It's a radio antenna built into an outside rearview mirror.............! Really! Click button: go directly to DerWhite's 356 Literature Website! Prices listed above are from the factory Accessory Price List. 356-B T-5 Zubehor-Preisliste (Price List), W191, 9.59 Gl. Size 8.5 x 11 inches, Hardbound, 356 Pages, All Color! Click here for more details about DerWhite's New Book!